Finally a recipe with cherries in it. Cherry is the name I go by since birth…almost everyone I know calls me Cherry and sometimes introducing myself by my real name sounds weird, so I do tell people to call me Cherry. Growing up, when my mother calls me by my real name, that would be an indication that I’ve actually done something mischievous …which also means…time to ruuuuuun!!!! 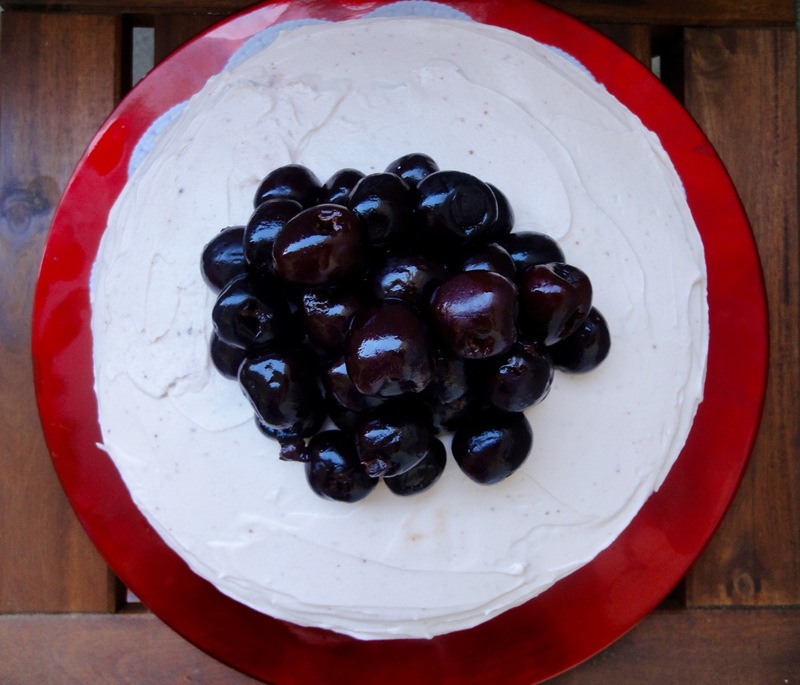 I live in a Canton that’s known for it’s cherries, cherry liquer known as Kirsch, and cherry liquer cake – Kirschtorte. 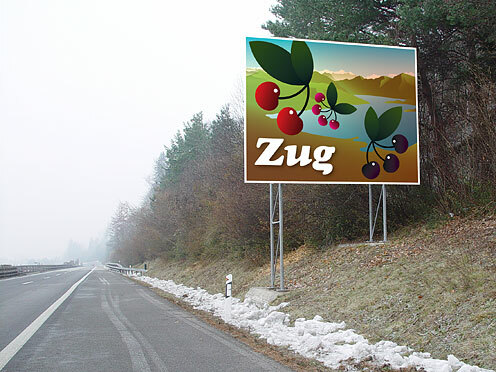 It also has its own cherry day – chriesitag, where there’s a game of cherry stone pitting and a cherry market where the farmers sell their cherries and cherry produce, and as you enter the Canton by car, you can see a big signboard with cherries on it. So, being called Cherry all my life, I decided this year to finally get some cherries from the cherry market for a cherry chocolate cake. I wanted to even wear my cherry cap to the market but chickened out. The hubby came along with me because I’m a bratty wife. The farmer even let us try out the cherries before purchasing it. Those cherries were the freshest I have ever had in my life and it was really juicy and good. So we got a kilo of it. As soon as we got home, I cleaned it and started pitting it. I also made some cherry juice from it for the cake frosting. 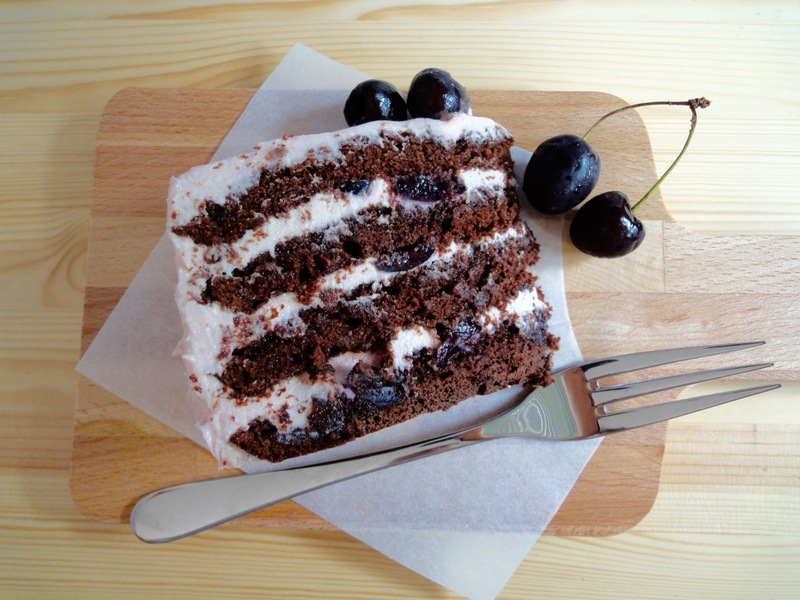 I got the recipe idea from Natasha’s Kitchen’s Drunken Cherry Chocolate Cake. However, mine was a virgin cherry chocolate cake. That was about the only thing I changed from the recipe. It was a delicious cake that I ate half of it over a span of 3 days. But every time I had a slice, there was a tingling feeling in my throat. And one night, I had about 3 slices of it and my tongue swelled up a little. 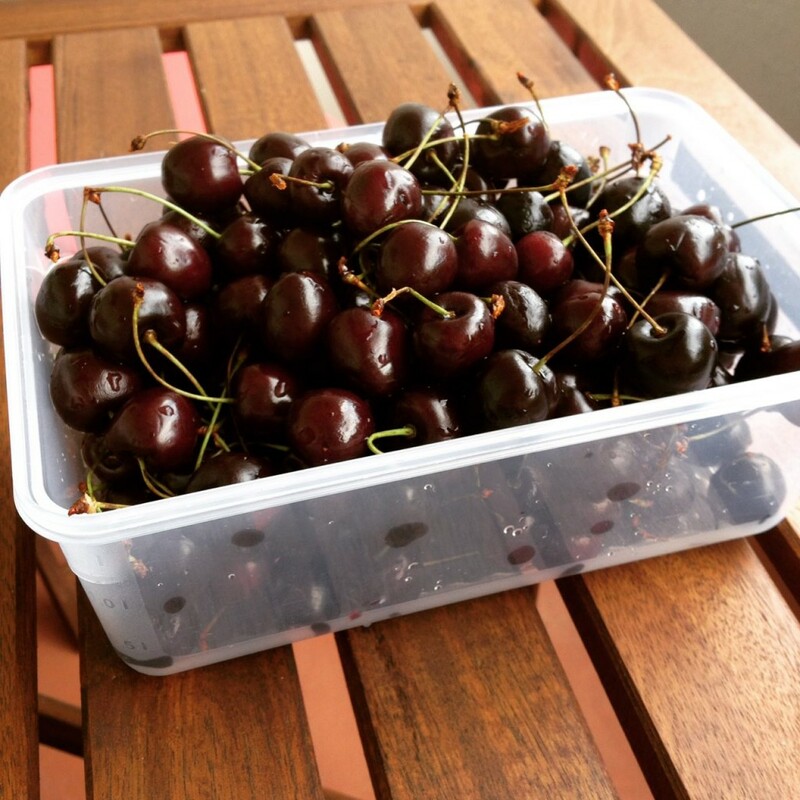 So, sadly…I self diagnosed myself that I am ironically allergic to cherries. That did not stop me from finishing up the cake. 😛 I will go for a test soon though. Chocolate cake layers taken from Tatyana’s Chocolate Cherry Rum Cake and the frosting from Hungry Rabbit’s Cherry Chocolate Cake. Preheat oven to 180°C (350°F). Prepare two 8-inch (20 cm) cake pan with cooking spray or butter and dust with flour. In a bowl, whisk butter, sugar and salt until light and fluffy. Add eggs one by one followed by vanilla extract. In a separate bowl, sift flour, cocoa powder and baking powder. Add flour to creamed mixture alternating with milk. Mix until just combined. Divide batter equally between the two prepared cake pans. Bake for 30 to 35 minutes or until your cake tester comes out clean. Cool cakes in cake pan. Once cool enough, transfer onto cooling racks. Take 2½ cup of chopped cherries. Take 1½ cup of cherries from cherry filling and blend till smooth. Set aside. Mix butter, powdered sugar and salt on low speed until combined. Then increase to medium speed and mix till fluffy. Add cream cheese and mix till incorporated. I prefer to keep the cream cheese cold. It does take a little longer to mix it together after that but it resists me from adding too much powdered sugar to thicken the frosting. Add 4 tablespoons of cherry juice, mix well. Keep the balance of the cherry puree/juice for layering. Slice each cake into half horizontally with a long knife or a cake cutting wire. Place one layer on a cake stand. Take balance cherry juice and mix in 1/8 – 1/4 cups of water. Brush first cake layer with cherry juice. 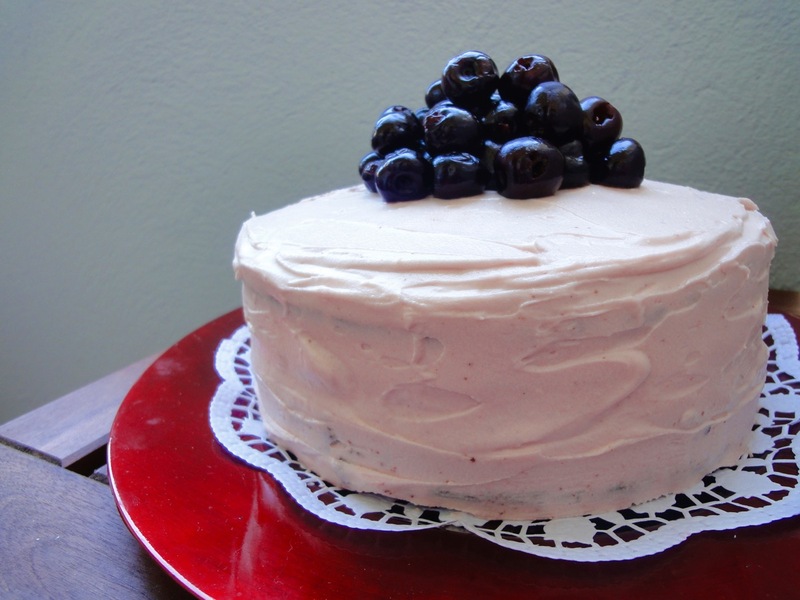 Cover the layer with cherry frosting and top with some cherry filling. Repeat process for the next 2 cake layers. Add the final cake layer without cherry juice and frosting. Leave to set in refrigerator for an hour. Once set, frost the top layer and the sides. Leave to set for 2 hours before serving. Let cake sit at room temperature at least 30 minutes before serving. thoughts out there. I truly do take pleasure in writing however it just seems like the first 10 to 15 minutes are generally wasted just trying to figure out how to begin. Any suggestions or hints? Thank you very much 🙂 I’d be happy to share. First of all, just be yourself. I can’t write for nuts, but I pretend that this blog is a person whom I am chatting with. How I write here is basically how I am in life. Start with what inspired you to make a dish and the rest will just come naturally. Hope this helps. Cheers!